Recent and ongoing incidents of racial bigotry and stereotypes reported and portrayed in the media, particularly targeting racial and ethnic minorities and immigrants, are poisoning the atmosphere and values of the United States, while injuring the dignity and humanity of all people. It is past time to stop this sinful insanity. But can we? Lately, we?ve had to endure a series of hurtful racial-ethnic insults and apologies by embarrassed public figures who, admittedly, should have known better. 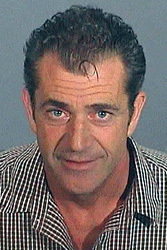 Actor-director Mel Gibson, when arrested in a drunken rage, accused Jews of being warmongers. 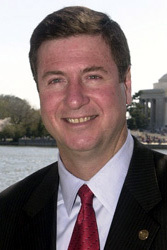 Sen. George Allen of Virginia, at a campaign rally, called a young man of Indian descent a ?macaca,? a species of monkey, although Allen claims his gaffe was unwitting. 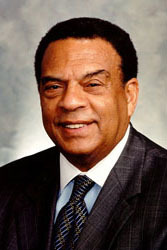 And former congressman, mayor and U.N. ambassador Andrew Young, a civil rights icon, bitterly criticized Jewish, Korean and Arab merchants, seemingly en masse, for exploiting low-income, African-American communities by charging high prices for inferior goods and then taking their profits home with them. These gentlemen ? and they are not alone ? could have benefited from my grandmother?s wisdom about using common sense, which she defined as ?that sense which keeps all the other senses from acting a fool.? In each case, public shock and dismay led to swift, contrite and multiple apologies along with attempts to contain the public relations damage unleashed by obsessive media coverage. Such indiscretions usually reap consequences: Gibson lost some fans and, ironically, a Holocaust-themed movie deal. Allen, a future presidential aspirant, may lose votes. And Young, who described a real problem but sinned in specifying and stereotyping its alleged culprits, lost a job he probably never should have had: promoting the intrusion of Wal-Mart stores ? with their low wages and lack of health insurance ? into inner-city black communities. These foolish faux pas have become achingly familiar to watch, and the apologies are wearing thin. What also wears thin are the dubious denials by transgressors that their errant statements manifest what they actually feel or believe. Fear, ignorance, envy, chauvinistic pride ? these and other learned human flaws can fuel bigotry and, when empowered, can catalyze the sin of oppression. It is a sad part of who we are as a nation ? past, present and foreseeable future. But, to paraphrase the prophet Jeremiah, where is the balm in our modern-day Gilead that can heal the sin-sick soul? Where do the sin and insanity stop, and how can healing begin? It begins with honesty, with offering a shining example of true insight, confession and repentance because the truth can set anyone free, including anyone suffering from racial bigotry and prejudice. It begins with the invocation of that popular but largely unheeded scripture from Micah 6:8: ?What does the Lord require of you, but to do justice, love kindness and walk humbly with your God?? Truth, repentance, justice, kindness, humility: these divinely prescribed Christian values offer an effective antidote to our human flaws and to the sickness of racial bigotry and oppression, if we would only nurture and employ them in our public and private expressions and our dealings with one another. Racial insults will continue to surprise and vex us, as long as there are loosened tongues, exploitive political and economic agendas, backlash against what some misname ?political correctness,? and misguided passions around such high-stakes issues as immigration and national security. My fear is that these slings and arrows of outrageous behavior may become commonplace, and we may become inured to them. After decades of struggle, we are only beginning to see progress in the fight against sports teams and mascots that purport to honor Native Americans but actually insult them instead. I commend our United Methodist Commission on General Conference and NCAA college basketball officials for setting examples of long-overdue respect and compassion for the dignity of native people. Still, other battles challenge us now or loom on the horizon. To no one?s surprise, the recent congressional field hearings inviting public dialogue on immigration policies exposed more hostility aimed at the immigrants who cross the southwest U.S. border. What the hearings did not yield were any viable, humane solutions. The worst outbursts, crudely echoed by several despicable political campaign ads, were those that irrationally linked undocumented immigrants from Mexico and Latin America with our fear of foreign terrorists slipping across our borders to do us harm. Such targeted paranoia can only leave innocent victims and distract us from attending to legitimate security concerns and defending ourselves against real terrorists. Now comes word that the popular TV show ?Survivor? will is beginning its new season this month with a format that pits white, African-American, Asian-American and Hispanic ?tribes? against each other in a contest to become the last tribe standing. The show?s producers are desperate to find a plot device that will keep viewers tuned in, but this risky and uncreative ploy may instead heighten racial tensions, chauvinism and separatism among viewers. Again I ask, where does the sin and insanity stop, and where can healing begin? Maybe the answer will come when individuals, families, coworkers and churches ? especially churches ? begin to dissect comments and controversies to grasp their true meanings and motivations. Then they can examine the inherent flaws in character and logic and find the lessons that can dispel the darkest intents and impulses with the light of truth and reason. Let us forgive but not forget because each racial faux pas represents an opportunity to stop and work on the problem, to fix the missteps, and maybe even change the dance so that we can stop tripping over ourselves. Our congregations should take the lead in a new movement of change. They should study and interpret Micah 6:8 prayerfully and exhaustively, and strive to apply it to their every thought, word and deed. Then they should use it as a plumb line to judge and correct every racial expression they encounter in private or public, face to face or through the media. We at the United Methodist Commission on Religion and Race have resources that can help churches in this effort, and we are eager to share them. It is time to move in rhythm with our multiple partners to dance the sure steps that God has choreographed for us as God?s people. It is time to move from being mere spectators to being students who learn and live and then teach Micah?s prescription for all people. It is a simple but challenging prescription that bears repeating to public figures and the public at-large: ?Do justice, love kindness and walk humbly with your God.? 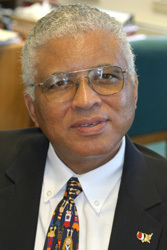 *Jones is top executive of the United Methodist Commission on Religion and Race.